The export feature in SPListX has been enhanced by introducing a familiar interface to specify filter conditions (based on list / folder / document properties) to remove unwanted contents. Here are some details about these changes. SPListX can export Folders, Files and List Items (including file attachments) from a SharePoint List or Library based on certain export conditions. 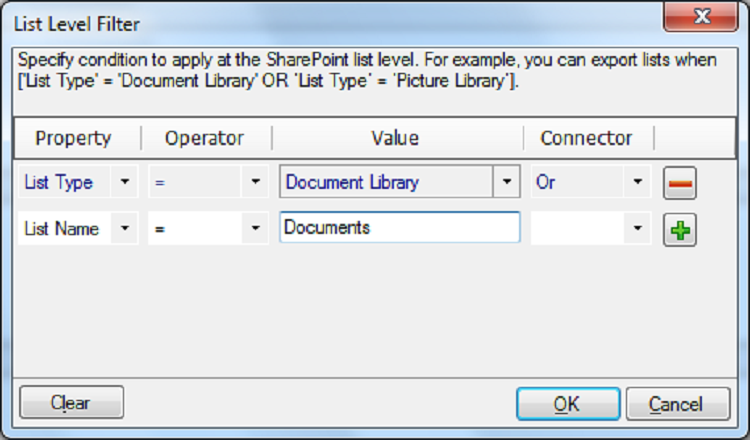 The conditions can be created by using SharePoint columns in the source List or Library. You can specify the export filters by selecting the field name and by specifying a value with the necessary operator. You can use mathematical operators such as =, <> to define your query. Complex queries can be constructed using logical operators ‘AND’ and ‘OR’. 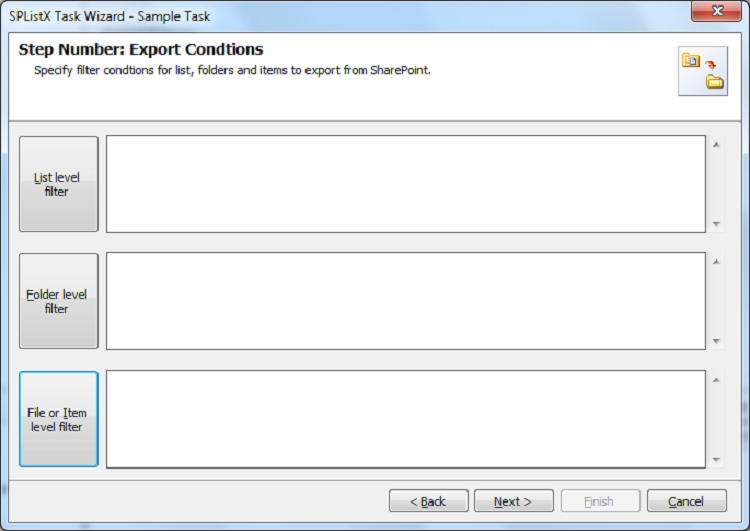 SPListX will export the Lists, folders, files or Items that satisfy the export condition depending on the options / filter conditions set by the user.